Use an understanding of genre to develop your own writing. 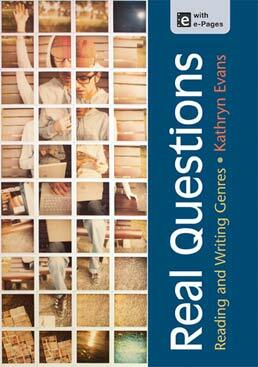 Real Questions shows you how the concept of genre works in conversations you care about through a variety of public and academic genres including creative nonfiction, blogs, Twitter posts, reviews, and more. Learn to analyze writers' choices as you create your own work. What Is Genre and How Can It Help You? 1 How Can Our Relationships Change and Grow? 2 When Should We Assume the Best (or Worst) about Others? 3 What Is Happiness, and How Can We Find It? 4 When Is Eating a Social Issue? 5 How Is Social Media Affecting Our Relationship with the World around Us? 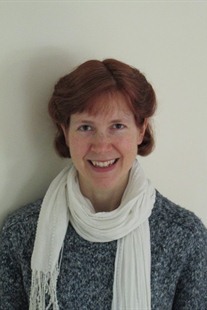 Kathryn Evans (PhD, University of Illinois) is the director of the writing center and an associate professor of English at Bridgewater State University, where she teaches writing and writing pedagogy. A former writing program administrator, she has led numerous workshops on the teaching of writing. Her research focuses on refining key practices in writing instruction, exploring the role of silence in oral response and miscommunication in written response. This focus has led her to develop Real Questions, which interweaves scaffolded writing instruction and engaging readings.